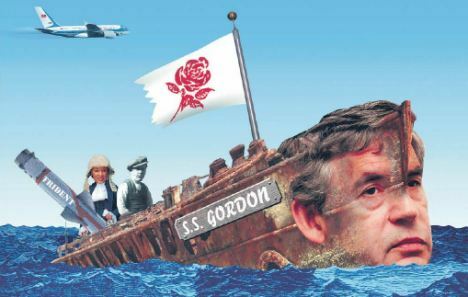 The Labour Party post the 2015 General Election are in turmoil. The party is hopelessly split into a number of groups each pursuing widely differing agendas. The party is not known for exercising common sense and it is likely there will be a deal of blood-letting before the future direction of the party is decided. Meantime, in Scotland the party, ineffectively led by the inexperienced Kezia Dugdale is also divided along politically dogmatic lines. Indeed she was so bold as to make it known publicly before his election to the party leadership that Jeremy Corbyn did not carry her confidence or vote. But there are others, (now members of her shadow front bench team) who are supporters of Corbyn’s ideals. But many are “Blairites” holding membership of the Progress group led by arch Blairite Lord Peter Mandelson. The divided Labour Party in Scotland is in big trouble since the next election is only a few weeks away. It faces Armageddon at the polls. But what of Jeremy Corbyn? The left wing of the Labour Party has waited 25 years for the opportunity to be placed to decide the political direction of the party and they will not give ground easily. So far I have identified two opposing groups “Progress” and now “Momentum”. There are more. What a mess!!!! 8 October 2015: Senior Labour MPs have warned a new campaign group, set up by supporters of Jeremy Corbyn, is a “threat to sitting MPs” and will “undermine” the party. Welcoming the group, which is also backed by a group of Labour MPs including Katy Clark, Clive Lewis, Richard Burgon, Rebecca Long-Bailey and Kate Osamor, Mr Corbyn said: “Now, more than ever, we need to unite and continue to build our movement to change our politics and to win together in 2020. Labour’s deputy leader Tom Watson has highlighted splits at the highest levels of the party by describing Momentum, the group established by supporters of Jeremy Corbyn to strengthen his leadership, as a “bit of a rabble”. Watson spoke out against Momentum during an interview on the Today programme in which he hailed Labour’s decisive victory in the safe Labour Oldham West and Royton seat by-election. Watson praised McMahon and Corbyn – who will be given an important breathing space as he seeks to overcome divisions in the party – after the emphatic win. Their target this year is 20,000 members – five times more than Militant had – and eight full time organisers. They say they will campaign to win internal elections, in their own words ‘counter moderates seeking key internal party roles’. All they need is a newspaper and Labour will really be back to the future and fighting against destructive infiltration. The aspiration to let non-Labour Party members join will be the undoing of Momentum – it is the thread at which moderates can pull. The Labour Party is an electoral machine or it is nothing. It’s organisational base remains local government and the most regularly attended meetings are based on council wards. At these there is little sign yet of attendance by the new members. Discussions are always either highfalutin debates about ending inequality or hyper-localism, but they are congenial, comradely and always return to campaigning – campaigning to win. Trying to sneak enemies of the Labour Party in through the back door as Momentum plan is the surest way to find out that the “the broad mainstream of Labour Party grass-roots” do not welcome collusion with their electoral enemies. Key organisers in Momentum, the new Jeremy Corbyn supporters’ group inside the Labour Party, are explicitly plotting “civil war” to get rid of moderate Labour MPs, despite repeated denials, a Telegraph investigation has found. Leaders of Momentum include, self-proclaimed revolutionary Marxists, and paid staff of parties which oppose Labour, including a man who was until five weeks ago official spokesman for a Green MEP. Concerted efforts have begun to get moderate Labour incumbents pushed down the rankings of the party’s candidates for next year’s Welsh and Scottish elections, putting them at great risk of losing their seats. Momentum has harvested thousands of confidential personal records of Labour members, including their private emails and telephone numbers, and is already using them to operate phone-banks, it can be disclosed. The tactic has caused a major row, with Momentum’s opponents claiming it is illegal under data protection laws. Jeremy Corbyn – Who is He?